By Ian Pollard in News and Views on 26th June 2017 . Bilby plc BILB With revenue doubling in the year to 31st March and gross profit rising from £6m. to £11.02m., Bilby has established itself as the largest gas contractor in London and the South East. However after various non underlying items, profit before tax fell from a restated £0.72m in 2016 to this years £0.06m. On an adjusted basis last years basic earnings per share of 5.34p has increased to 7.66p. The annual dividend is to be 2.2p per share compared to a restated 2.75p. per share for 2016. Advanced Oncotherapy AVO announces another year of significant progress and development in the commercialisation of its next-generation technology in the treatment of cancer – LIGHT. Despite some challenges and obstacles during the year to the end of December, these have been overcome and the company looks forward to successfully executing the timelines that were outlined in March 2017. Since the year end, management has been strengthened and significant technical milestones have been reached. New finance has also been agreed and secured. 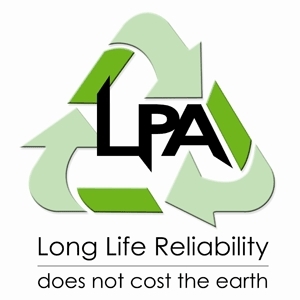 LPA Group LPA claims that the excellent levels of orders and sales announced at the AGM, has continued through the half year to 31st March. Profit before tax has risen from £782,000 to £976,000 on revenue up by 3.1% Diluted earnings per share are up from 5.34p to 6.81p per share. The interim dividend is to be raised by 5% to 1.05p per share.However despite those claims about the excellence of the order book, it stands at £22m., exactly where it was at half time, a year ago. Quantum Pharma plc QP. announces the disposal of its homecare and dispensary business enabling it to focus on its Niche and Specials divisions and eliminate low margin turnover.The Niche & Specials divisions have been trading ahead of plan in the early months of the year and the outperformance here is expected to offset the majority of the loss from the division which is being disposed of.